This scene is along Gloryville Road near Freedom, Indiana in southern Owen County. The property has been in the Franklin family for several generations. I liked how the woods framed the opening with the sheds and the landscape swept toward the Fish Creek bottom land in the distance. 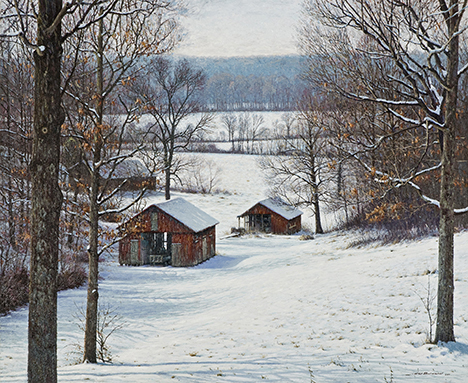 Published December 9, 2013 at 468 × 383 in Artist’s Favorites Gallery.